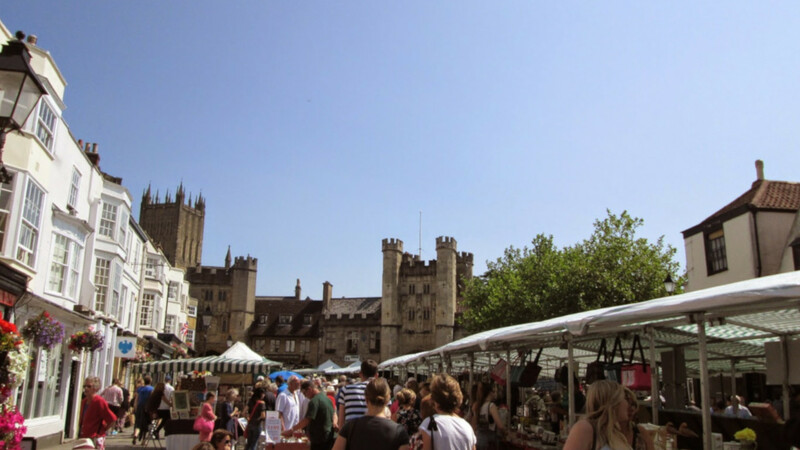 Wells holds twice weekly markets in the market place (Saturday’s and Wednesdays). You can buy a wide range of goods from clothes and jewellery to organic vegetables, plants and olives. Please click to see more photographs of Wells Market.In the market place in 1695, the quaker, William Penn the founder of Pennsylvania preached to a huge crowd. He was arrested for unlawful assembly, only to return some weeks later to continue his crusade.